The Philadelphia Flyers aren’t quite out of the playoff picture yet, but the team sits 12 points out of guaranteed playoff spot in the Metro, and 10 points out of wildcard position. Barely half the season remains, and the next 10-15 games will make or break the Flyers efforts to be relevant in the post-season. 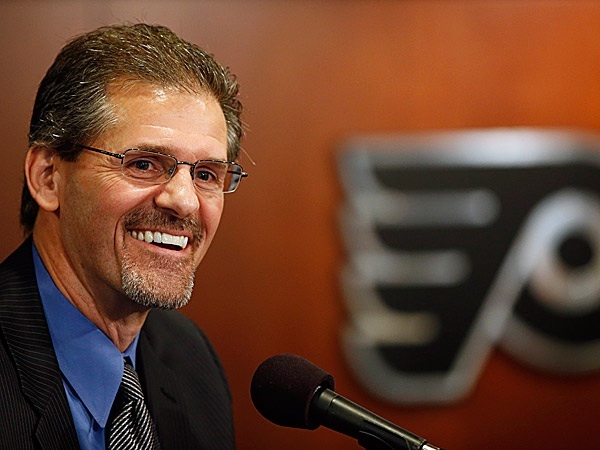 With the team struggling to keep pace with the division, let alone overtake other teams, GM Ron Hextall admitted this morning that he is close to making some moves to shake up the roster. The key word here is “future”. Hextall has been adamant that he won’t sacrifice young players or picks in the name of making the current team better. If the Flyers go into sell mode, it will be veterans and rentals on the block, if they aren’t already being shopped. Pierre-Edouard Bellemare, Nick Schultz, Chris VandeVelde, Ryan White, Carlo Colaiacovo, and Ray Emery are all UFA’s at the end of this season and would make for prime deadline trade bait to boost the Flyers collection of draft picks. None of these players are world beaters and will only gain the Flyers mid-round picks at best. There isn’t that star rental on the roster than could garner the Flyers a 2nd or 1st round pick, with the possible exception of RFA Michael Del Zotto. But his recent stint in the press box has likely lowered his stock around the league despite a solid first two months for the Flyers. There have also been rumors of contract extension talk with Nick Schultz. It’s possible the Flyers like him enough to sign him to a modest deal and keep him as a veteran presence for the rebuild. The Flyers also have plenty of aging veterans that could deal if Hextall goes full firesale, namely Streit, Grossmann, Coburn, Lecavalier, Umberger. However, their lengthy contracts and substantial salaries mean they are much more likely to be moved in the off-season before the draft when teams typically have more flexibility on their roster and cap.